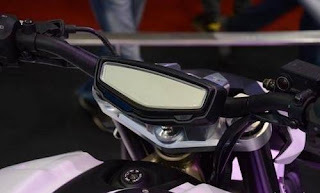 The collaboration between TVS and BMW Motorrad, announced a couple of years back, bore first fruits with the unveiling of the all-new G310R barely a few days back. G310R is the smallest BMW motorcycle which will be launched soon and we will also see a TVS derivative of the same sometime later. There will be many more motorcycles that will be built on the same platform, including adventure, tourers and possibly sports. However, that’s not the only action you are going to witness from this partnership. In fact, the TVS-BMW accord might even give rise to twin cylinder motorcycles displacing 500-600 cc. A new report at Bloomberg TV reveals that the two bike makers will enter this lucrative segment with co-developed motorcycles and they peg the sticker prices of these mid capacity motorcycles to be around the Rs 5 to 6 lakhs mark! This is over the initially announced displacement of sub-500 cc motorcycles and is possibly due to the rising demand of mid-sizsers specially in the developing nations like ours.